Plastic surgeries are usually elective procedures women and men undergo to improve their personal appearance. Sometimes they are necessary to correct the consequences from a serious accident, such as a fire that caused disfiguring burns. When you go under the knife, you expect your surgeon to be competent and professional. A simple mistake before, during, or after your operation could have potentially deadly consequences. You may also visit a medical spa that offers Botox injections, fillers, or lip injections. Incorrectly injecting a patient can be extremely hazardous. 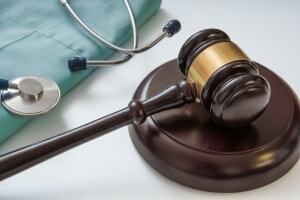 How can medical malpractice occur in terms of plastic surgery? Medical malpractice is committed when a doctor fails apply a standard of care that all plastic surgeons are required to adhere to; and that failure subsequently causes harm to the patient. Failing to obtain informed consent. Surgeons have a duty to explain the known risks of plastic surgery to their patients and get an acknowledgement in writing that the patient understands the risks. Failing to obtain a full medical history. Your doctor needs to know about your allergies, past procedures, current medical problems, and a full list of medications you take. The physician should be diligent in recording this information, and should not perform a surgery that could be dangerous. Surgical errors. Mistakes may include failing to administer the right amount of anesthesia, operating on a wrong body part, or leaving instruments in the patient’s body. In some cases, the doctor will perform the operation incorrectly and leave undesirable results. A medical malpractice lawyer can help determine if these surgical mistakes are egregious enough to warrant legal proceedings. To learn more about plastic surgery malpractice, please contact Paulson & Nace, PLLC through this contact form or by phoning 202.930.0292.